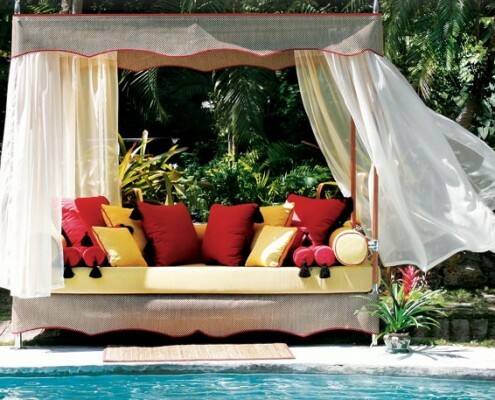 Check out some of our featured umbrella and canopy furniture below. 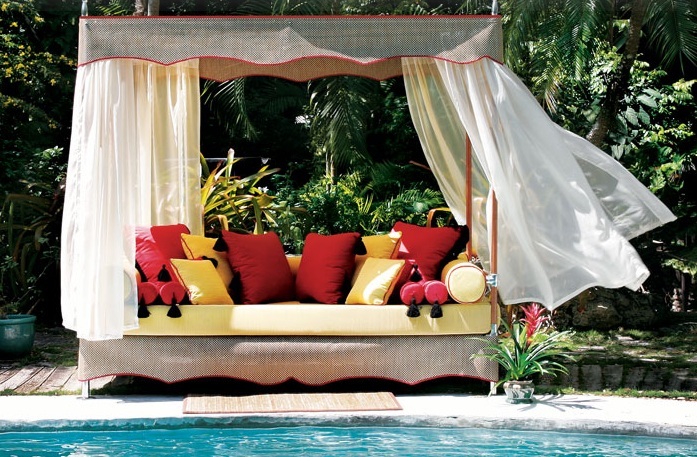 Tuuci Bali is a comfortable bed-lounge canopy furniture alternative to a pool retreat and is expertly built with Dura-Teak wood-grain polymer frame and modular marine-grade components. 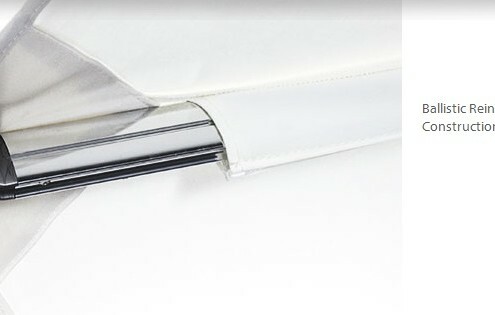 Its fabric cushions and bed coverings with sheer privacy curtains are made from high-performance fabric that is stunning yet incredibly durable. 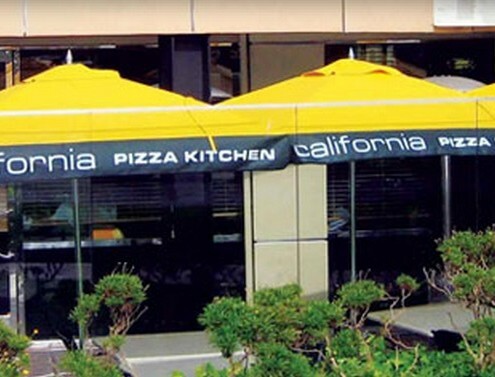 Canopy furniture options include a sunroof, valance, and comes in 4.75 x 8.5 feet. 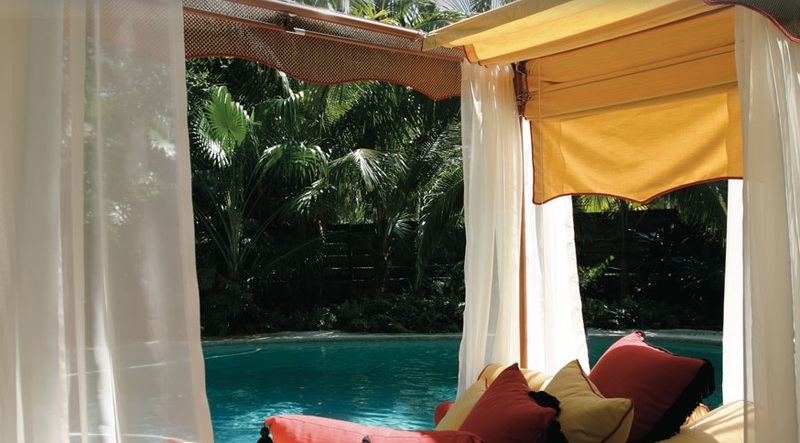 Tuuci uses only the most durable and beautiful fabrics for their shade systems. These Tuuci Tuff-skins are easy to care from and are certain to attract attention. Choose from a variety of bases and accessories. 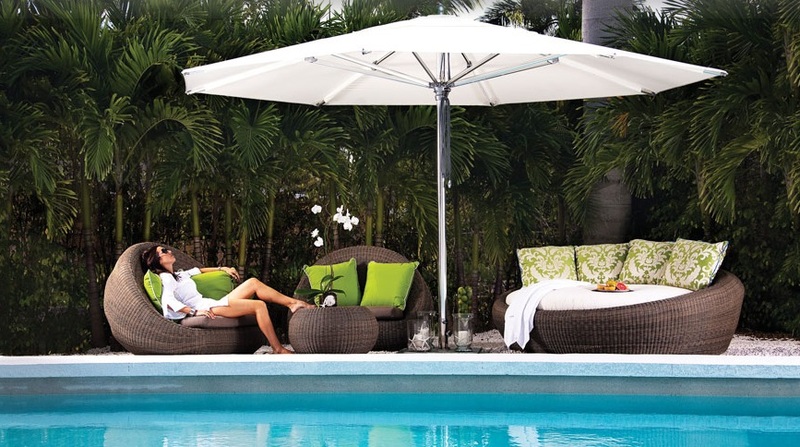 Tuuci’s Ocean Master Max Classic Umbrella offers classic European tailoring and expansive shade ability for all manner of canopy furniture. 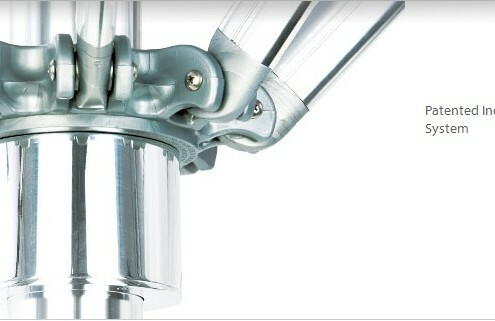 It features a patented independent bracket hub system, telescoping mast with easy crank lift, v-max reinforced strut design, marine grade aluminum components, ballistic reinforced/screw pocket construction, and easily replaceable parts. Available in Square (8 feet, 10 feet, 12 feet, 14 feet, 16 feet), Rectangle (10×14 feet, 12×16 feet, 8×12 feet), and Octagon (9 feet, 11 feet, 13 feet, 15 feet, 17 feet). 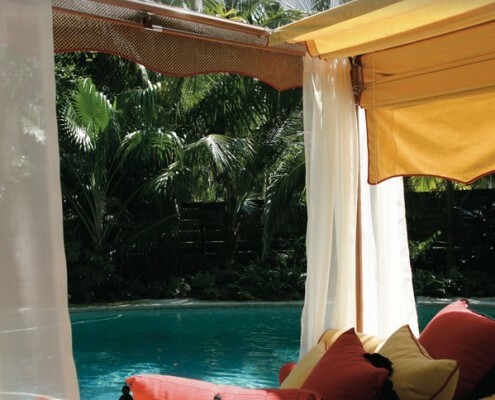 Tuuci uses only the most durable and beautiful fabrics for their shade systems. These Tuuci Tuff-skins are easy to care from and are certain to attract attention. Choose from a variety of bases and accessories. 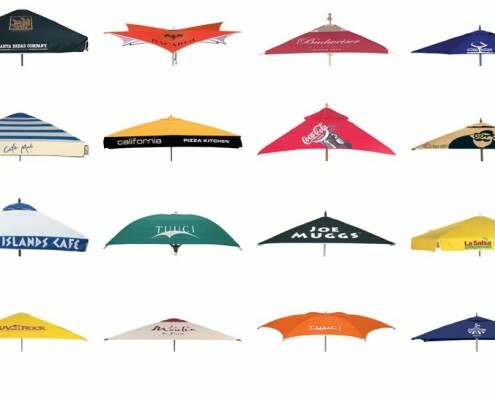 Tuuci Advertising Umbrellas are built to last through multiple marketing campaigns over a number of years. 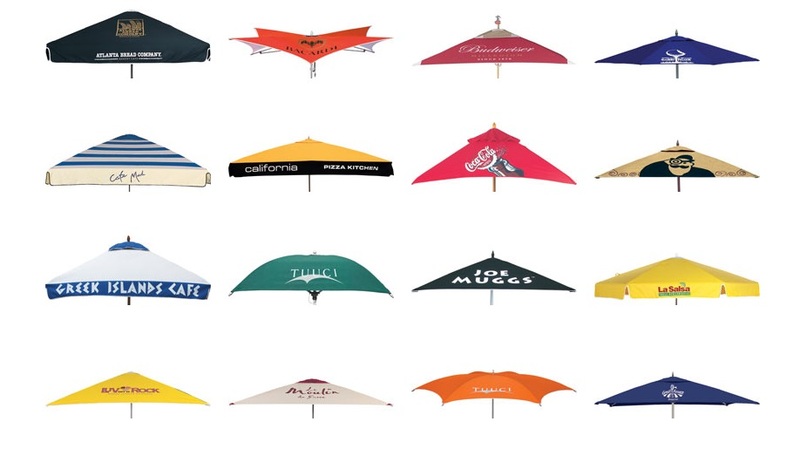 Choose from a selection of umbrellas and then pick out the custom details you want. Add a base and accessories to complete the look you are aiming for.